LASIK eye surgery is a safe and effective treatment option for patients with nearsighted, farsighted, or astigmatic vision. However, it is important for patients to realize that LASIK is a surgical procedure, and therefore is associated with certain side effects. One such side effect of LASIK is sensitivity to light. Dr. Gregory Stainer, of Southwest Eye Care and Laser in Bakersfield, explains how long sensitivity to light will last after LASIK surgery. During LASIK surgery, an excimer laser is used to reshape the cornea so that light properly reflects off of the retina. In cases of patients with nearsightedness, the steep cornea is flattened. In cases of patients with farsightedness, the flat cornea is steepened. In cases of patients with astigmatism, the cornea is made rounder. In the days following LASIK surgery, patients may experience sensitivity to light as they become adjusted to the changes made to the curvature of the cornea, and as the cornea heals. The patient may experience this sensitivity to light when out in sunlight, near bright lights indoors, or when watching TV or viewing a computer screen. How Long Will the Sensitivity to Light Last? Sensitivity to light may last for a few days or a few weeks, depending on the individual patient’s own rate of healing. For most patients, the sensitivity to light is most noticeable during the first 48 hours after surgery. The sensitivity to light then gradually diminishes each day. After a week, most patients are not bothered by sensitivity to light, though some patients may experience this side effect for up to six weeks. If you are still experiencing sensitivity to light during your post-operative visits with your LASIK surgeon, it is a good idea to discuss this side effect during your appointment. Try to limit time spent outdoors in the sun, as this will exacerbate sensitivity to light after LASIK surgery. If you do have to go outdoors or ride in a car for any reason, wear sunglasses. Avoid looking at the computer screen or watching TV for long periods of time in the days following LASIK surgery. Dim the lights in your home in the days after LASIK. Rest the eyes as much as possible for the first 48 hours after surgery to limit eye strain. Once the sensitivity to light has gone away, patients can enjoy their improved vision without any restrictions. 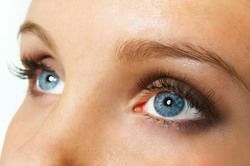 To learn more about LASIK surgery, and to find out if you are a good candidate for treatment, contact Southwest Eye Care and Laser today.